The Human-Computer Interaction (HCI) field studies the way humans interact with computers in order to achieve user goals. Accessibility is the capability of these interactions to be inclusive for users with various disabilities. To some extent, HCI researchers focus on two areas: user interfaces and usability. User interfaces are the methods and processes through which people interact with computers. Usability is concerned with the ease of use and intuitiveness of these interfaces. Ever since the introduction of the Command-Line Interface (CLI) in the mid-60s, through the graphical user interface (GUI) introduced in the early 80s, interfaces continue to rely on the visual system. Although these interfaces were a major improvement compared to their predecessors, they effectively isolated visually-impaired users. It wasn’t until 1999 when the Web Accessibility Initiative, a project by the World Wide Web Consortium (W3C), published the Web Content Accessibility Guidelines WCAG 1.0 in an effort to help reduce this isolation. Since then, responsible designers and developers have been focused on implementing, to the best of their ability, methods to increase the accessibility of their interfaces. Unfortunately, many of these methods are sometimes difficult to implement and at worst, outright impossible. While is it generally possible to offer alternative, accessible models, the fact that the user experience ends up being different for different users, raises questions about the equality of the outcomes achieved through these interactions. One could argue that it would be fairer to simply deliver the accessible interface to everyone, but in reality, this approach suppresses important benefits provided by the full-featured options. While no one could argue that accessibility isn’t fundamental to a more equal and fairer digital world, the cost to implement accessible solutions can make it hard for organizations, particularly startups, to compete against healthily-funded incumbents. As explained, even the most well-intentioned efforts can often fall short and create unequal outcomes. Since visual interfaces are inherently deficient in addressing a visually-impaired audience, there is an argument to be made about embracing these limitations and seek solutions outside the CLI and GUI realms. Meet voice user interfaces (VUI). 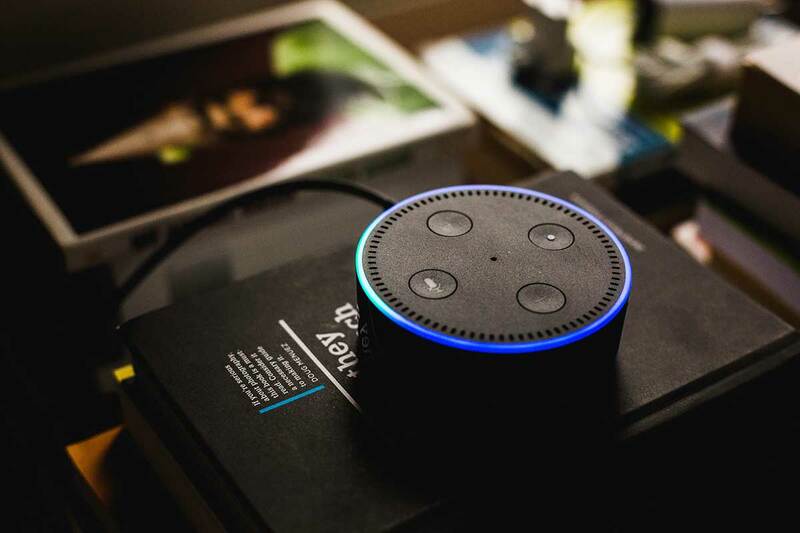 Despite the recent hype, voice-based interfaces have been around for a long time, long before Siri, Alexa, and Google Home. What is truly exciting this time, is the maturity of speech recognition technology which, together with advances in natural language processing and machine learning, provide for much more natural interactions. This tripartite innovation brings for the first time, the elements necessary to achieve a matching, if not superior, revolutionary user experience. An experience freed from the limitations of visually-dependent systems. An experience that creates new possibilities impossible to achieve by the GUI. In closing, it is my belief that we are about to embrace VUI as strongly as we did with the GUI in the last few decades. While it is important to recognize that VUI effectively excludes hearing-impaired audiences, it does provide a native, fully-featured alternative to the GUI. Therefore, the use of both approaches should be pursued simultaneously in order to create a fairer, more inclusive digital world.